We regularly find that manufacturers of turned, ground and cylindrical components are amazed at the range of benefits that optical, non-contact inspection systems provide. Through a combination of advanced hardware and intuitive software, VICIVISION UK machines eliminate error, increase production efficiency and unlock potential – and that’s just the tip of the iceberg. From February 5 to 7, 2019, at the Southern Manufacturing and Electronics show in Hampshire, VICIVISION UK engineers will be exhibiting the M306 on stand G190. Visitors will be given a unique opportunity to discover its power first-hand, and are even being invited to take along their own turned parts for a measurement demonstration. What makes the M306 so special? Whether it’s camshafts, valves, screws, pistons, biomedical implants or electrical spindles, the M306 delivers superior performance time and time again. 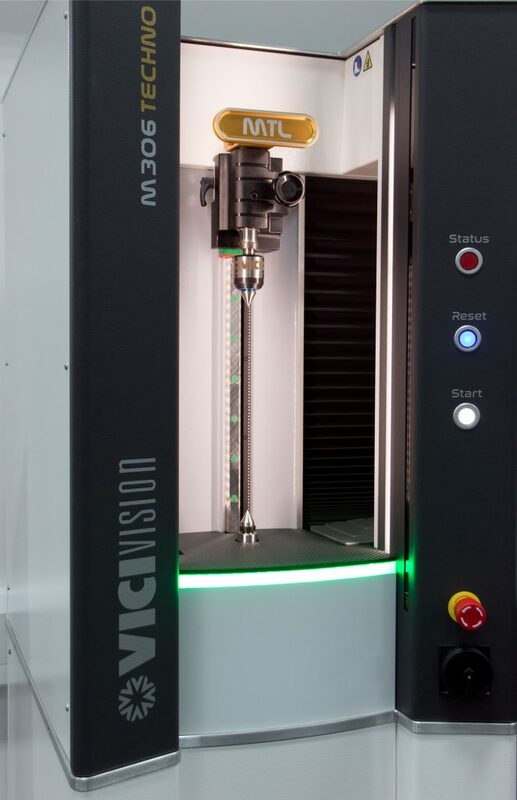 Part of VICIVISION’s renowned Techno series, this impressive system boasts a 300x60mm measuring field and can deal with a maximum load capacity of 10kg, at 315x120mm. Compact, yet ergonomic and robust, the M300 series will suit and adapt to both current and future demands, ticking all the boxes for lean manufacturing. High-resolution capabilities mean minute features are captured on detailed images and, thanks to an on-board self-calibrating step-master, each part produced by a CNC lathe can be measured with micron accuracy on the shop floor, with fast and efficient batch changing leading to greater productivity. When immediate data capture is made available next to multiple machining centres, to more than one operator, bottlenecks are eliminated and down time is reduced, as there is no need to transport parts or leave the production environment. Achieving smarter and more reliable quality control processes, delivered with speed and efficiency regardless of the complexity of a part, means reduced rejection rates, minimal rework and therefore immediate time and cost savings. Businesses that can guarantee a repeatable supply of quality products, each and every time, can look forward to a hugely positive boost to their reputations. The specific expertise behind creating the Techno series, where machines boast an LED illuminated area and are complemented by advanced software, has resulted in a highly efficient range of solutions that never fail to deliver.